There are a whole range of signals that Google takes into account when it ranks your site. But all experts agree that inbound links from other sites – SEO backlinks – are hugely important. What is a SEO backlink? Basically it’s a hyperlink your website gets given from another website. Backlinks have a massive effect on a website’s prominence and optimization in the search engine results. It’s the reason they are considered so effective for improving a website’s SEO ranking. Search engines calculate rankings using a mix of factors to display search results. No one knows for certain exactly how much value search engines apply to backlinks when listing results. But we are 100% certain that they are a top ranking factor among the 200 that Google's algorithms take into account. Be aware that there are three main types of backlinks in SEO and they are not the same. These are inbound, outbound and internal links. Let's look at how these links differ and their importance for optimisation. Outbound or external links are where you link out to another site to give your visitors additional useful information or resources. You might think why do this if you're sending traffic away so it's always good to make your outbound link one that opens in a fresh page on the browser. But they're useful to visitors and useful to Google as it gives the search engine a clearer idea of what your site is about. But make sure they're valuable when you use them for users. Internal links are the ones that you use to drive your visitors around your site. To lead them from one page to another, ideally towards the end of your sales funnel. They are also useful to Google too as they provide a pathway to crawl around your site. So using internal links is a valid optimisation technique. Inbound links or SEO backlinks are the most influential and valuable of the three types of links. They are votes of endorsement from other sites that Google takes strongly into account. If you want to increase your SEO, backlinks are worth achieving. Google sees them as a sign of relevance, authority, popularity and trust. Ideally if your content is strong and relevant, then the anchor text other websites use to connect to you will incorporate your keywords and Google's robots will take note of this. Say your site sells outdoor weather clothing, and another website links to you using the words 'outdoor weather clothing' or similar, then this will be a powerful signal to the search engine and will help with your optimization. Try our free Keyboost SEO backlinks trial. You’ll see an improvement in your rankings fast – most users see improvements in under one month and a site in the Google top 30 can usually achieve a top 10 listing. Keyboost uses a specialised inbound link technique that involves researching sites in your niche area for your target keyword that are relevant and authoritative to place these crucial indicators of endorsement from. We currently make available one free Keyboost test per domain providing your webpage has a top 100 position in Google for a given keyword. Appropriately means just that. Not over-cramming your keywords into your content where it doesn’t make sense but using them where they’ll be useful to your website visitors. Use our SEO page analysis tool to check how well you've composed your on-page content. It’s worth getting your on-page content well organised for best optimization. Then you’ll increase your organic SEO results. Would you like to analyse your own webpages with our checker for their keyword effectiveness? We give everyone who registers with us a daily free webpage analysis with our in-house developed programme, SEO Page Optimizer. We permit one free usage per day. What does it do? It provides you with a detailed SEO report and informs you what you need to change within your content to get at least as high as Google’s top 10 rankings. Try SEO Page Optimizer now. To make use of it, you’ll need to type in to our online form the target keywords you want that site page to rank for. You’ll learn from the SEO report that there are small changes in positioning of these keywords that you can make to be more competitive. Our intelligent Page Optimizer programme will deliver you step-by-step instructions on what to change. Click here to register for your daily webpage analysis and get your keyword optimization right. Backlinks take time to acquire and build up and you should always focus soon the quality of your backlinks as opposed to the quantity. It's not a case of the more you've got the better. Far from it. It’s more effective to have 20 links from authoritative sites than 1,000 from sites that have no reputation or no valid connection with yours. You need to give others a reason to link to you and that’s down to the content of your website. What you want to aim for is that someone comes upon your website (hopefully through a Google search, a social media post or perhaps a link on another site), finds your content valuable and useful, and links to it to let their own visitors know about it. So focus on the content you publish and make sure it’s original, fresh, interesting and engaging. Take a look at what your competitors are publishing and try and improve on it. If your content gives nothing more than does your competitors’ websites, why would anyone link to yours instead? You could compare backlinks to conversation markers among websites. It's well worth assessing your competitors backlinks. There are a host of free and paid-for tools available that allow you to do that and even compare a group of your competitors. Once you know what links your competitors have achieved, you can aim to do the same. So what constitutes quality for the web? Search engines’ big goal is to deliver the most relevant content to the query that is typed in. So they aim to provide relevance in their search result. Relevance per se is a major consideration when they judge your backlinks. A backlink can be relevant in different ways. Is the backlink from a site in a similar niche to yours? Is it in the same subject area or covers closely related topics? Say you’re in the alternative health field, and you secure SEO backlinks from another health-related website, this would be well-seen by Google. But if you get SEO backlinks from a website that has no relevance to yours – say from a shoe retailer – then Google would not attribute it much worth. Search engines will look at the relevance of the linking site, the relevance of the content on the specific page with the link on it, and the relevance of the content or anchor text directly around the link. They will also be checking if your backlinks come from what they deem a high quality website that is a trustworthy site. To determine if a website is trustworthy, search engines use a set of trusted sites and these tend to be government, university or news outlets such as Wikipedia, BBC, The Huffington Post which they know for sure are high quality and which are difficult to get links from. The fewer the number of SEO backlinks away your site is from one of these all important sites, the higher its TrustRank is, and the higher the quality a link from that site is deemed. Read here how Wikipedia explains it: "TrustRank seeks to combat spam by filtering the web based upon reliability. The method calls for selecting a small set of seed pages to be evaluated by an expert. Once the reputable seed pages are manually identified, a crawl extending outward from the seed set seeks out similarly reliable and trustworthy pages. TrustRank's reliability diminishes with increased distance between documents and the seed set." If you've good quality content on your website, now's the time to start promoting it via your social media channels, whether it's LinkedIn, Facebook, Twitter or any other. Making your content such as your blog posts as visible as you can will mean more people are likely to want to link to you. Getting SEO backlinks in this way is a marketing activity like any other, with the one goal of using each backlink for optimization. You can also be more pro-active about getting SEO backlinks yourself – although it takes time and effort. Research websites in your niche area, find their email address on their websites, and point them to any useful content on your site that you suspect they might like to link to. Make this easier for yourself by creating blogs with helpful explanatory guides to your subject area that are engaging and useful. Use infographics. Why not run a competition and promote it on social media with the link to your website? Post on Twitter and link to your website. Create a webinar in your area of expertise. Offer to write an informative guest post on a site of a competitor in return for a do-follow link. Create an explanatory video and place it on your site and YouTube. Suggest to website owners that they might like to link to your content as a valuable resource for their own visitors. These are all ways of attracting SEO backlinks. Each backlink is a step nearer optimization. A simple way of building quality backlinks is to get yourself listed in relevant (make sure they are relevant) business directories and relevant industry body lists, posting and answering comments in forums, commenting on blogs and getting your business in article directories. This too all takes time. Link building is tricky and time-consuming if you don't have time for outreach and making the right connections. Acquiring the right sort of SEO links takes time to do organically. You should avoid taking up the linking services of what are known as 'link farms'. These are suppliers who market backlinks in high numbers. Most of these will place links on your website that have no relevance to your own site. At Keyboost, we don’t recommend link farming. Our link building service is overseen by specialist technicians that use a personalized modus operandi. With our backlinke services, you’ll achieve higher results in the SERPs for your website in less than a month. We recommend good SEO keyword use for your anchor text and may propose other valid keywords. We carefully seek out only those sites of genuine SEO relevance and authority to connect to your site. We’re scrupulous on this point. We are aware that poor quality or irrelevant links will be of no benefit to your SEO. We aim to build your links in a slow and steady fashion. An unexpected rush of non valid links would not help your backlinking profile at all. We position high-grade dynamic links only to high trust and popular websites. However, we make sure they are not direct competition for your website. We keep you up to date with monthly SEO reports on your SEO progress. 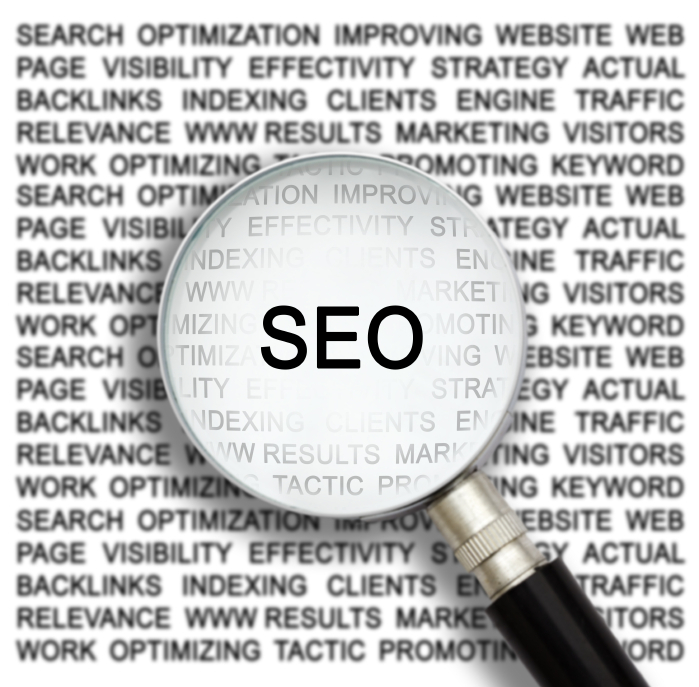 Why not try out our search engine optimization service for yourself? We're currently offering every customer a free Keyboost for your domain. If you’re happy with the results of the SEO uplift you receive, we’ll then be pleased to give you a quotation for continued backlinking services. The cost of our backlink optimization service is good value in comparison to search engine marketing such as PPC or Google Adwords. The price will be related to your position at the time in Google, the amount of keywords for which you want backlinks for and the existing competition from other website owners for those SEO keywords. Get your free Keyboost trial by simply clicking and filling in the application form here. If the optimisation concepts of SEO backlinks and on-page content leave you stressed and confused, we are here to help. Our expert consultants will talk through your website challenges. We can help you with a site audit too. If you would like to see how we can help, get in touch with us here. Email us at info@seopageoptimizer.co.uk or call directly at +44 3308 084797.